If you have never visited the Capital of Texas and are stopping in for a day on the way to somewhere else (shame on you), you obviously want to see the best of Austin, and quick. The Willie's Cup, at Geraldine's. So just for you, I've concocted the perfect Austin potion: the classic spots, the must-see views, and the historic landmarks people will undoubtedly ask you about when you go back home. This tour will guide you from evening plans, through an all day excursion, all the way to your departure. Welcome, and I hope you enjoy ATX as much as we do! Since this is your first night with us, we thought we'd do it big. 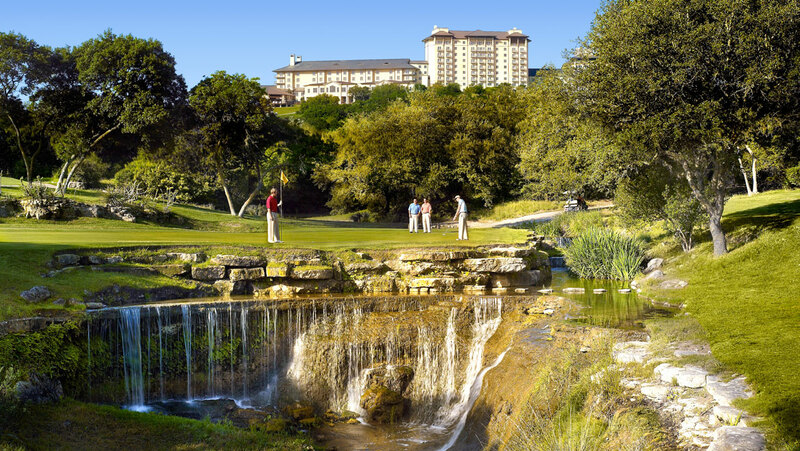 I selected Omni Barton Creek Resort and Spa as the perfect way to welcome you, as it is located in the heart of the Hill Country and gives you one of the best views (and beds!) you could hope for in Austin. A golden pink sunrise will greet you as you sip your first sip of coffee while taking in the sea of green and sprawling hills. If you have a little time in the morning, the beautiful golf courses have been ranked among the best in the nation, and Three Springs Spa is one of the most luxurious in the area - perfect if you are enjoying a getaway with your loved one! We know you just got here, but our time with you is limited, so we need you to have breakfast tacos right away. 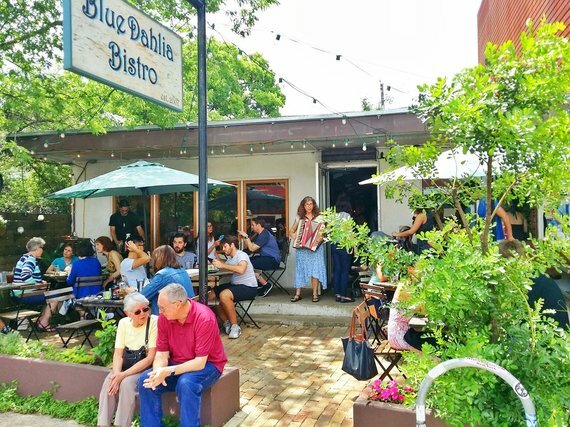 They are a staple of Austin culture, but more importantly, they are delicious. Breakfast tacos are self-explanatory: everything you could want in a breakfast, wrapped in a taco. Taco Deli has some of the best, and lots of businesses around town carry them in the morning (including Coffee Bean, win win if you love coffee as much as me). Segway Tour: Segway tours are wildly popular in Austin, and an easy way to see the main spots without having to worry about downtown parking. One of favorites leaves at 9 A.M. and tours the main downtown historic spots, such as the State Capitol and the historic and dreamy Driskill Hotel. Hula Hut is a favorite local restaurant where you can sit outside and enjoy the amazing water views, right in downtown. With a blend of Polynesian and Tex-Mex (which we affectionately refer to as Mexonisian), the Pu Pu Platters and the tacos will welcome you to the Austin culture from the first bite, all the way to that lava cake dessert. Walk over to Mozart's for some locally roasted coffee and more stunning views. It feels like a little vacation in the middle of your day. Cafes on 2nd Street; Image via Page Think. 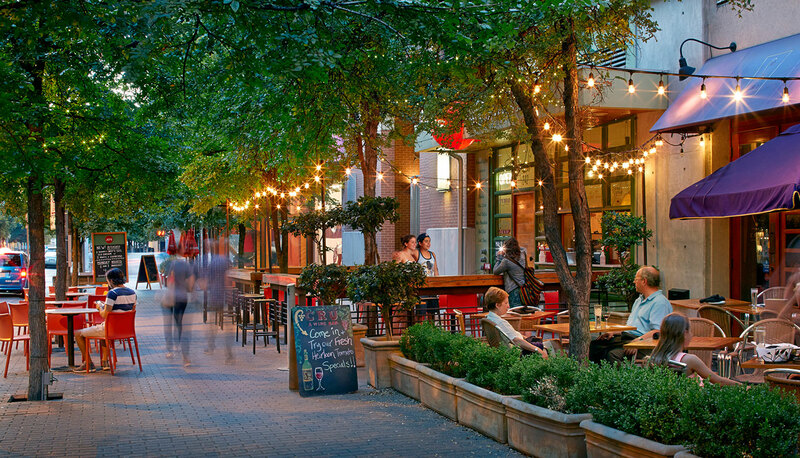 We thought you should have some time to shop around, and we recommend the 2nd Street District for that. Shop around the local boutiques and art galleries, grab some frozen yogurt, and enjoy some of the best people-watching one can hope for. Our motto isn't "Keep Austin weird" for nothing! You don't want to spoil your appetite before dinner, but with as much activity as you have had today, you will surely need a little reboot. Grab a light bite at this classic local bistro (I love the French goat cheese and olive tartine), located in the hip Eastside neighborhood. Austin has a large community of bats that lives under the Congress Bridge, which crosses over the Colorado river that runs through town. They make a nightly appearance around sunset, and the dark cloud of bats that forms against the rosy-pink Texas sunset is a sight to behold. You don't want to miss this moment. They like to come out when it's warm, which is most of the time around here so this shouldn't be a concern. 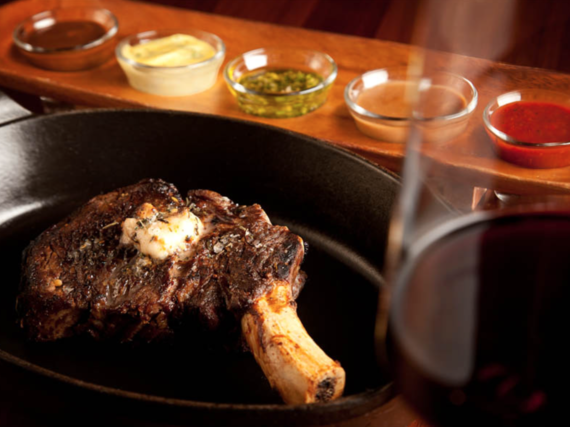 Bone in Ribeye with choice of sauces, at TRIO. Now that you've had your cocktails, head on over to TRIO, a restaurant located inside Four Seasons, just a short walk from Geraldine's. 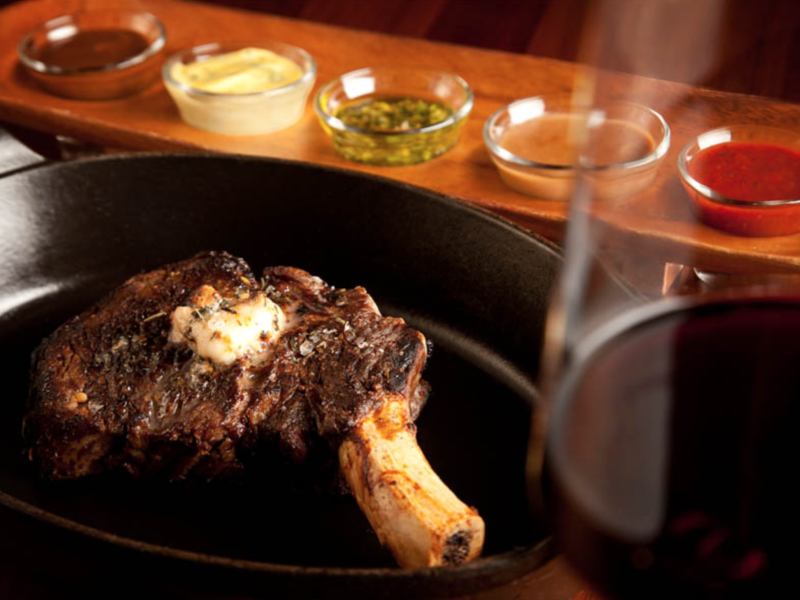 The fine dining destination offers steak and seafood dishes combined with a careful selection of wines. 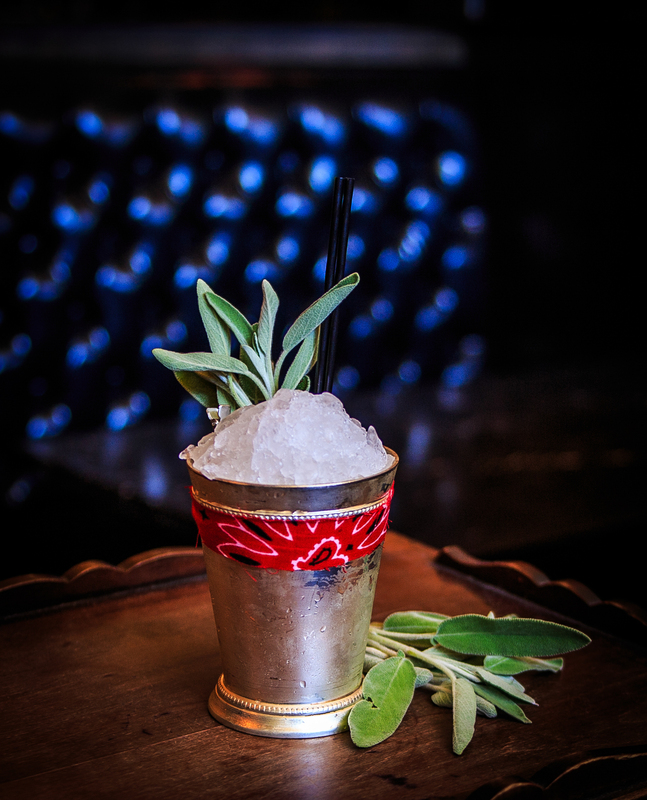 Pair that with unrivaled Lady Bird Lake views on the outdoor terrace, and you have the perfect Austin night. If you are feeling brave, 6th Street is a constant party during the weekend. It is also home to many live music venues, so be sure to check out some of our amazing local musicians. 365 Things To Do In Austin and Culture Map Austin are two of the best sources for finding out what is going on any given night. You've been with us for over 24 hours now, so we think you are ready for a local boutique hotel. Hotel Ella is a true southern charmer, conveniently close to downtown so you can just Uber on over there after your wild partying on 6th Street. You have earned a luxurious stay, and Hotel Ella does not disappoint. 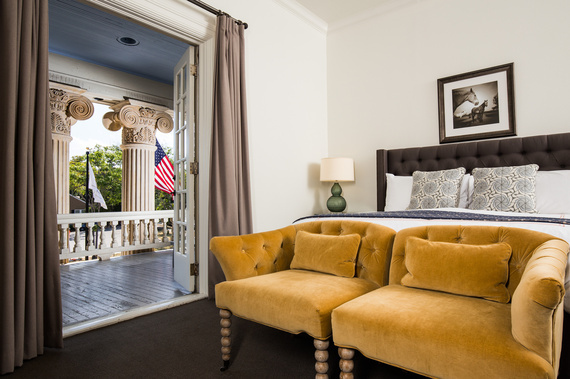 Full of history and expert design, you will love the spacious suites and elegant bathrooms, and wake up to beautiful city views from the sunny wrap-around porches. 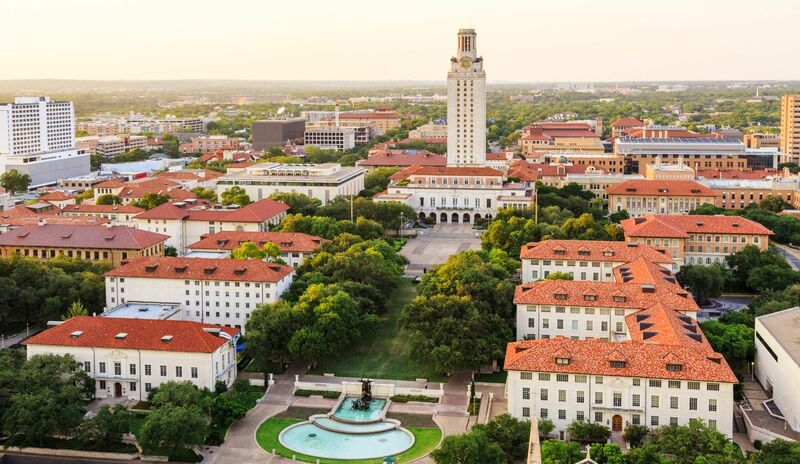 Austin used to be a small college town before it became the sophisticated metropolis it is today, but the majestic UT Campus remains as one of the most beautiful in the state, if not the country. Wake up early, grab a coffee and walk over from Hotel Ella, and take in the morning action. Don't forget to stop in at the stadium and the library tower, which lights up every time our team wins a game. It will make you want to be a student again if only to read (or nap) in the gardens. We have enjoyed having you for the short 36 hours! I hope you had a good time, and that you come back soon! Follow Deborah Stachelski on Instagram and Twitter!